We landed in Kuala Lumpur at nighttime yet before the Malaysian Airlines Boeing 737’s tires hit the runway, the fog was so thick I couldn’t even see a light outside the plane window. Almost immediately, the cabin was coated in an eye-smarting burnt smell. I am a nervous flyer, and on this evening my anxiety was enhanced by the fact that MH370 had disappeared just four days before and that our pilot had not mentioned the weird weather to the passengers. What we didn’t immediately realize is that the fog with the burnt smell was not only coating the airport but blanketing almost all of Malaysia and parts of Indonesia as well. 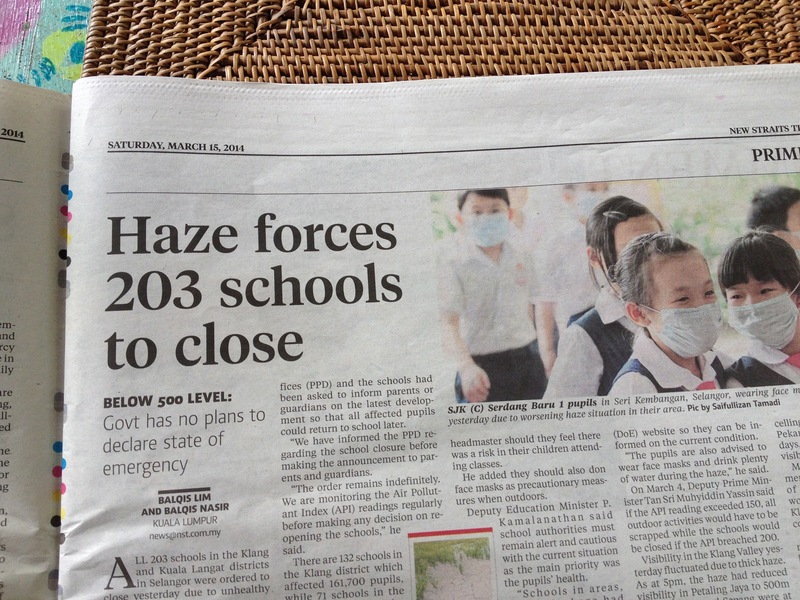 Many airports in the region had already closed and by the next day, the Malaysian government declared the air quality dangerous, closed over 200 schools in the capital and advised against any outdoor sports. The first day of the rugby tournament was cancelled, much to the boys’ disappointment. The stinging smoke that was affecting their dream school trip was in fact the end product of the needs of billions of people who live far from Southeast Asia. Ever wonder about that “vegetable oil” listed as an ingredient in a huge amount of food we all eat? That vegetable oil is often palm oil, and it is an essential ingredient in margarines, frying oils, cereals, baked goods, sweets and potato chips. It is also in soaps, washing powder, cosmetics and animal feeds, and it can also be used as bio fuel. 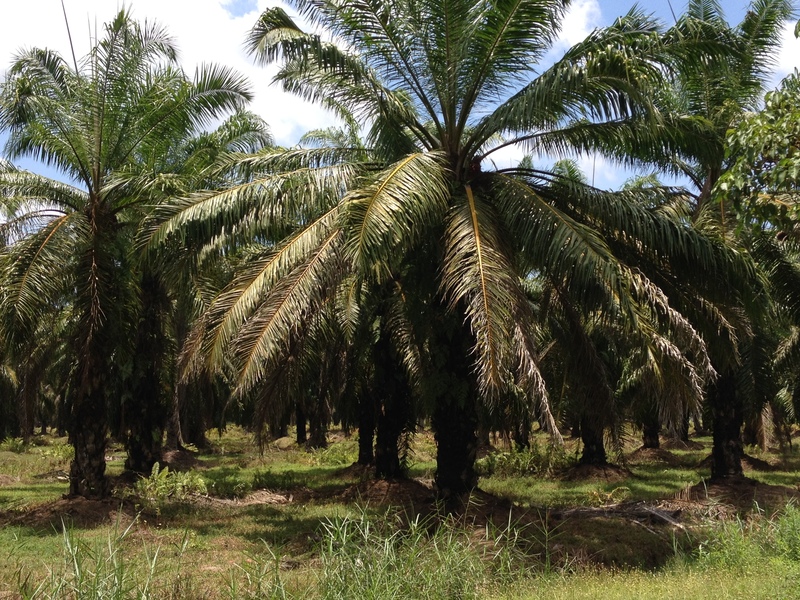 Since the 1990s, the demand for palm oil has increased by more than 45 percent. Though 17 countries produce it, Malaysia and Indonesia account for 85 percent of global palm oil production. Millions of Malaysians and Indonesians rely on palm oil for their livelihood. The choking smoke and palm oil are inextricably connected. Just drive for hours on Malaysia’s magnificent super highways (yes, they have Starbucks stops) and the countryside is almost entirely blanketed by thousands of acres of palm oil plantations. But growing world demand, especially from China, means both legal and illegal unfettered cutting down and burning of pristine forests in Malaysian Borneo and Indonesia. The governments, either because of lack of will or corruption, do little to control what has become an environmental disaster. This year, lack of rain means the burning season is particularly vicious on the lungs. The forest peat burns underground for weeks and the heavy smoke just sits over three of Asia’s most important cities: Singapore, Djakarta and Kuala Lumpur. Lucas gets basic global warming. He knows it makes winters colder and summers hotter and that New York and Toronto, where our extended family lives, have had wicked snowstorms this winter. His school is plastic free and on eco days, he walks to class. 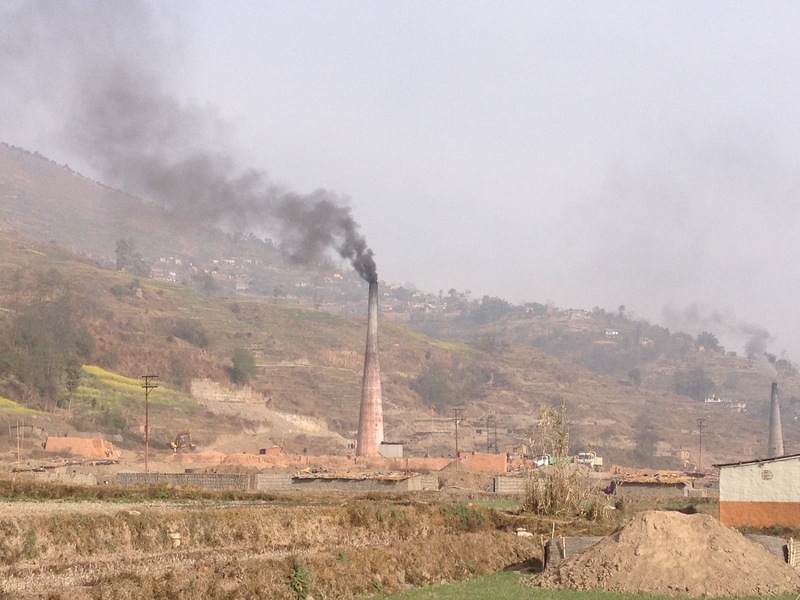 Our lives in Nepal are an unexpected first row seat where we can witness the cost of development. 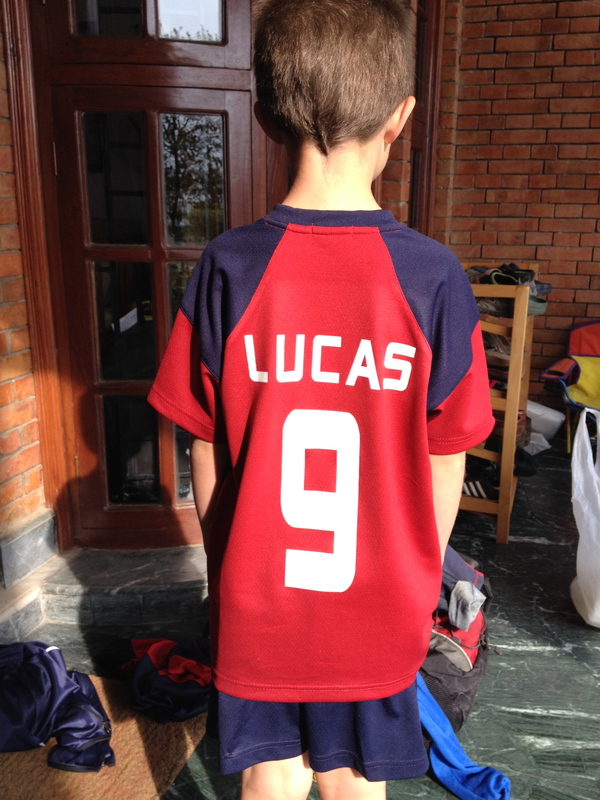 Lucas knows well the fetid smell of raw sewage from Nepal’s holiest and dead Bagmati River. 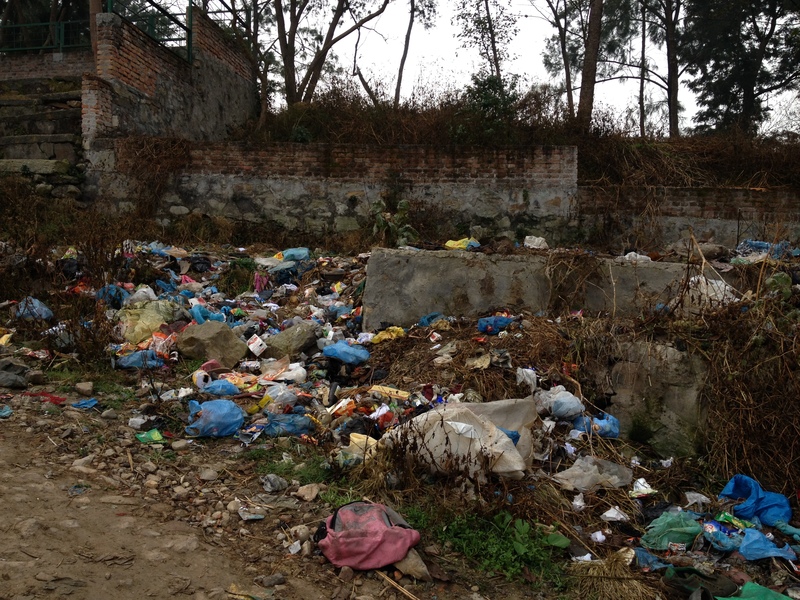 Unregulated dumping of garbage on city streets makes Kathmandu a filthy plastic-bag littered city. An open sewer runs near our house. 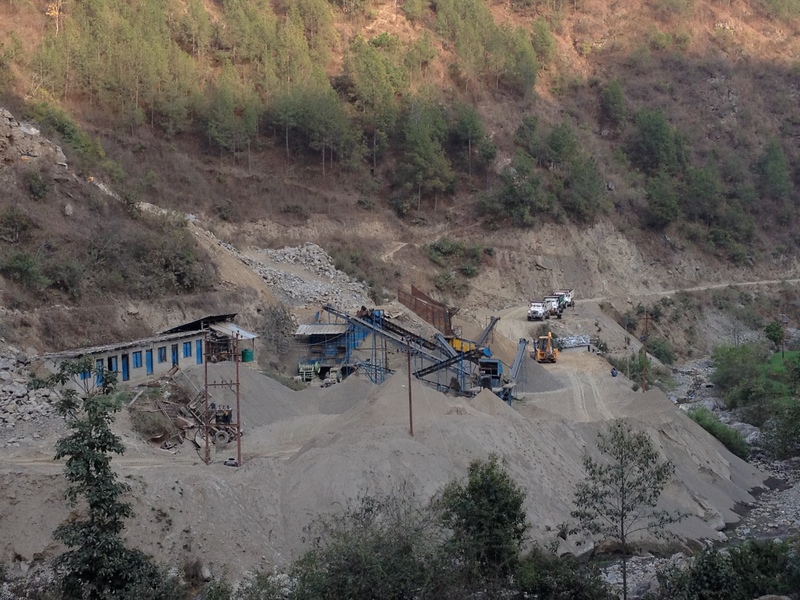 Massive and frequently illegal stone quarrying in Nepal’s gorgeous rivers and streams supplies the unquenchable thirst for roads and building construction but result in massive erosion, flooding and landslides, destroying bridges and roads and buildings. Still it hadn’t occurred to Lucas that eating his favorite sour cream and onion Pringles or Honey Nut Cheerios or washing his hands with soap could be connected to the smoke that cancelled his rugby match. I was struck by the irony that Kuala Lumpur, a modern, vibrant, clean, green gem that stands apart from the region’s capitals, was being asphyxiated by the very development and industrialization that had provided the money to make it so special. 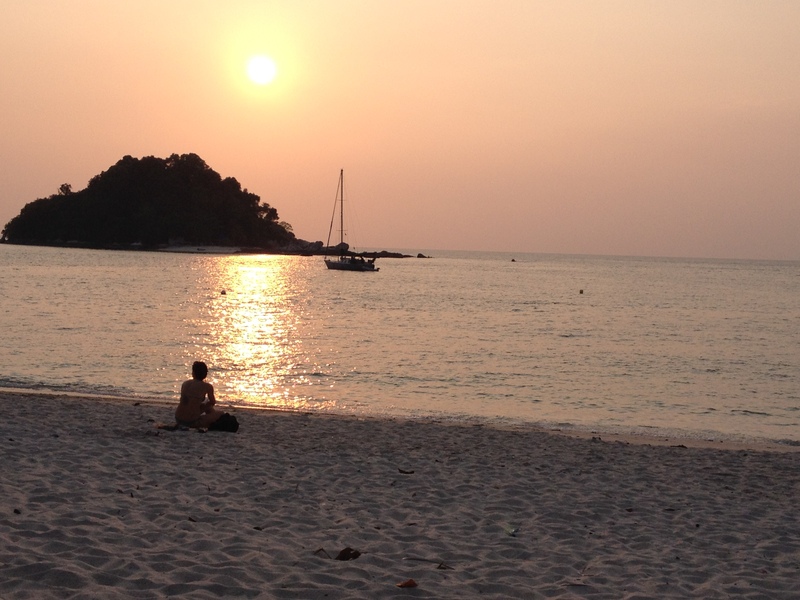 Malaysia has built itself up as a favorite tourism destination. Its ubiquitous slogan, “Truly Asia,” could be misconstrued on smoky days. Luckily for the Yeti team, it rained and then it poured, and the smog cleared. They won one match, tied another and lost two. The memories will last a lifetime. This entry was posted in beauty, burning forests, development, family, garbage, global warming, Indonesia, Kathmandu, living overseas, malaysia, Nepal, palm oil, palm oil plantations, parenting, pollution, road construction, roads, smog, south asia, tourism, transportation, vegetable oil, waste management, wilderness and tagged brick making, children, development, Donatella Lorch, food additive, garbage, global warming, Indonesia, Kathmandu, Kathmandu Valley, Kuala Lumpur, living overseas, Malaysia, Nepal, Nepal news, palm oil, palm oil plantations, pollution, riverbed quarry, rock harvesting, rock quarry, rugby, smog, south asia, sport, tourism, transportation, World on March 24, 2014 by Donatella Lorch.